The Howard County police shot and seriously wounded a man who they say had a gun and was threatening to kill himself and his family in Columbia on Monday morning. 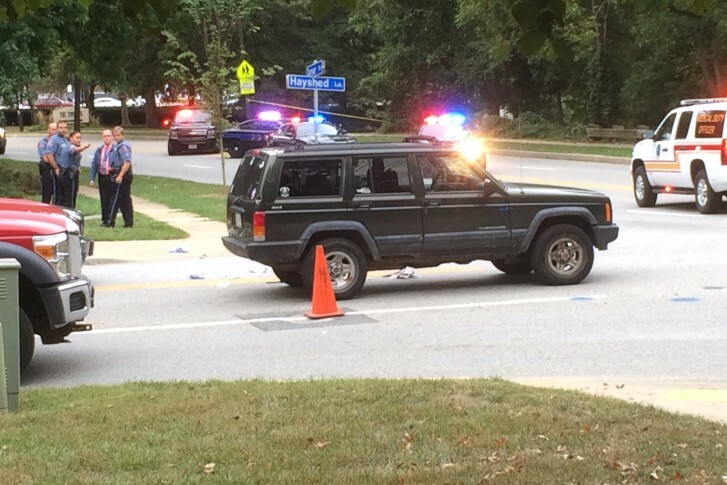 WASHINGTON — The man who was shot and seriously wounded by Howard County police after an early-morning standoff that sparked a school lockdown and closed streets in Columbia, Maryland, was holding a replica pellet gun, police said Monday afternoon. During the standoff, 42-year-old James Andrew Schueler, of Columbia, Maryland, threatened to kill himself and family members, police said. Police said he pointed the gun at himself and later at a group of police officers that had stopped his vehicle at the corner of Hayshed Lane and Tamar Drive at about 7:30 a.m. Monday. Howard County police said the gun looked “nearly identical” to a semi-automatic pistol. One officer fired on Schueler who was hit in the torso and transported to University of Maryland Shock Trauma Center where he remains in serious, but stable condition. The officer has been placed on administrative leave, which is standard procedure after an officer-involved shooting, police said. Before the police encounter, a 911 caller told police Schueler was on his way to an address in Columbia threatening to kill family members and to commit suicide by cop, Howard County police said in a news release. Officers spotted a green Jeep Cherokee at 7:28 a.m. that matched a description of Schueler’s vehicle given by the 911 caller. Schueler at first refused to exit his vehicle and during ensuing standoff held the gun to his head, police said. At about 8:16 a.m. exited his vehicle and the gun at nearby officers, police said. Before being transported to the hospital, police tactical medics provided immediate care, Howard County police said. The standoff caused a partial lockdown at Long Reach High School and closed some roads in the area. All roads that had been closed for the police investigation had reopened by Monday afternoon. WTOP’s Victoria Rossi contributed to this report.